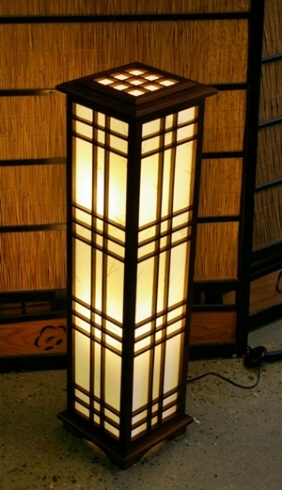 We sell both new and old lights and lamps. The andon is a lamp consisting of paper stretched over a frame of bamboo, wood or metal. The paper protected the flame from the wind. 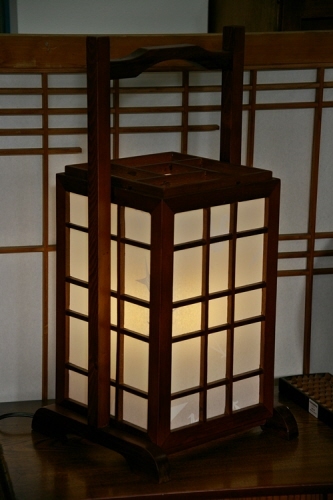 Burning oil in a stone or ceramic holder, with a wick of cotton, provided the light. Rapeseed oil was popular. Candles were also used, but their higher price made them less popular. A lower-priced alternative was sardine oil. 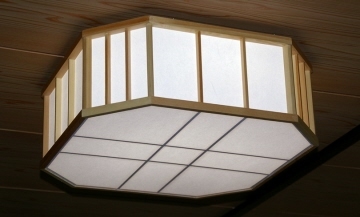 The andon became popular in the Edo period. 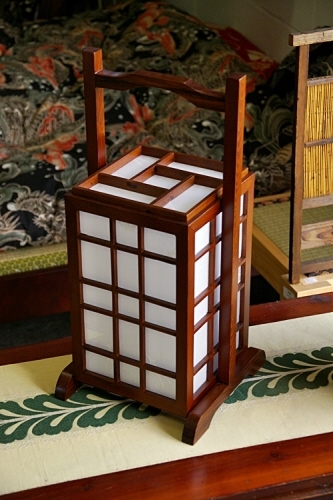 Early on, the andon was hand-held; it can also be placed on a stand or hung on a wall. The okiandon (Large Lamp) was most common indoors. 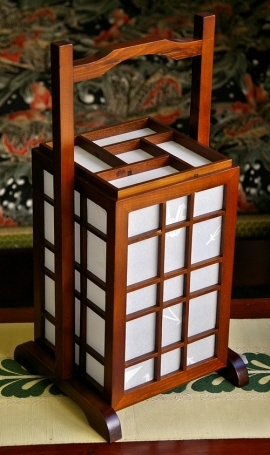 Many had a vertical box shape, with an inner stand for the light. Some had a drawer on the bottom to facilitate refilling and lighting. Colour: Natural with a cloud dragon shoji paper. You need to have an electrician hard-wire these.